You can get a lot more demos here. Incidentally, they are the same folks behind the Google Street View technology. 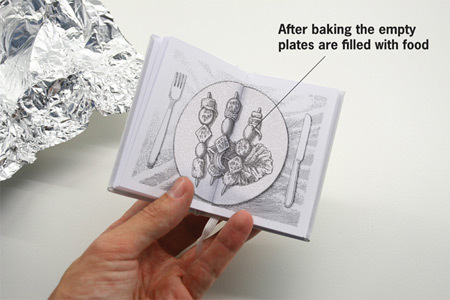 Croatian creative agency Bruketa & Zinić have designed an annual report for food company Podravka that has to be baked in an oven before it can be read. dezeen.com has info on the smart piece of work, along with more pictures. 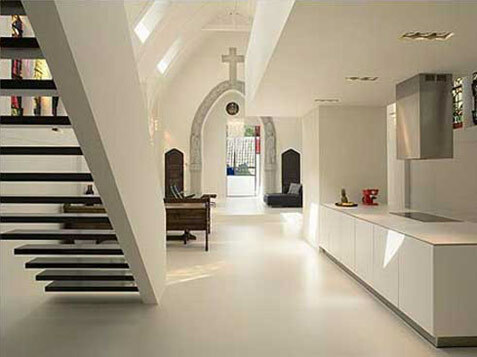 freshome features a beautiful architectural feat by Netherlands-based Zecc: the interior redesign of a church into a modern home. Now I’m not much of a church-goer (quite the opposite, actually), but I certainly wouldn’t mind setting foot in this one. …is that, when not thought out perfectly, they are open to interpretation. In the case of safety signs, the outcome can be disastrous. safenow.org demonstrates this wonderfully in a hilarious parody of our fear-mongering friends at US Homeland Security. Remember: If you are sprayed with an unknown substance, stand and think about it instead of seeing a doctor. Alright, so I don’t really like to put too many flash videos on the front page at once, but I thought this video is absolutely brilliant. Old school pixel art via dice. Here’s a funny music video for the weekend, Lodger‘s song “I Love Death”. They seem to have a pretty coherent visual style es well, if you check their other videos on YouTube. You have 1 film roll, 36 frames. Tell a story. No digital, no Photoshop, no cropping or anything else. Cool. I haven’t seen anyone use film in a while. Let us know of you take part! Update: whoops, only two days left to submit your ideas. Better hurry up! You are currently browsing the position: absolute weblog archives for January, 2008.